FOREX CLUB has appointed veteran, Michael Geiger, as its Group of Companies Chief Executive Officer (CEO) and Chairman of the Management Board, according to a FOREX CLUB statement. Back in early 2014, FOREX CLUB named Mr. Geiger as its Executive Vice President (VP). Additionally, he formerly held the role of CFO of FOREX CLUB Group of Companies, part of a tenure dating back to 2011. In his new role as CEO, Mr. Geiger will help manage the Group of Companies, while bolstering FOREX CLUB’s market position and penetration capacity, namely through the fostering of its services suite. This includes the MetaTrader4 (MT4) trading platform and the proprietary trading and investment terminal LibertEx. Following the move, Vyacheslav Taran, the former Group of Companies CEO and the Board of Directors, will retain his position as Chairman of the Board of Directors of FOREX CLUB Group of Companies. In this capacity he will continue to be deeply involved in FOREX CLUB’s strategic development moving forward. 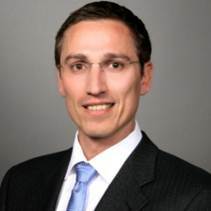 Prior to joining FOREX CLUB, in 2011, Mr. Geiger held a number of senior roles at Ernst & Young and Geiger’s GmbH, and other multinational corporations operating across a number of sectors, according to information made public on his LinkedIn profile. “I am confident that relying on the professionalism and experience of FOREX CLUB’s team of managers, together we will be able to further strengthen the Company’s market position. Among the projects that will help us attain new heights I would like to mention our proprietary trading and investment terminal LibertEx that offers a possibility to invest in the most promising assets worldwide literally in just several clicks,” added Mr. Geiger in an accompanying statement.